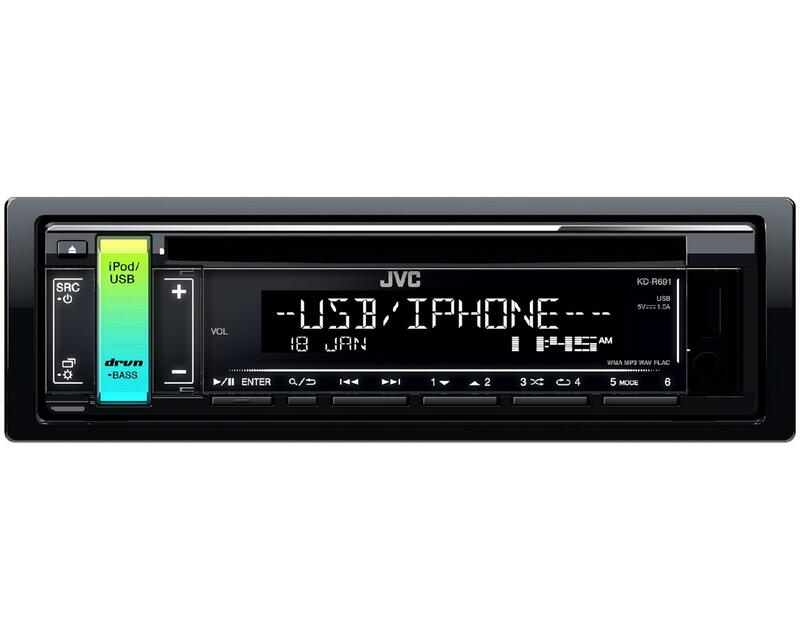 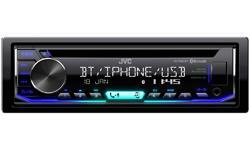 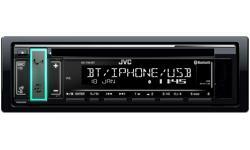 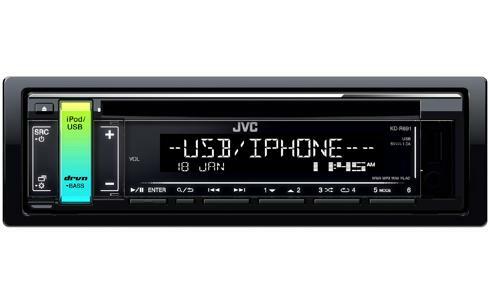 KD-R691 iPhone car stereo & Spotify app control • JVC U.K.
JVC's KD-R691 CD receiver with front USB for Apple or Android music playback plus AUX input jack for other portable music storage products. A large easy to read LCD display will show track, artist, album data from your Android smartphone. 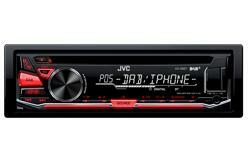 Steering wheel control option is included and a powerful 50 x 4 watt amplifier will boost your systems power output. 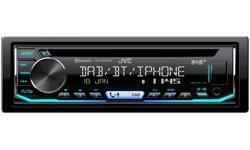 Comes with 2 zone variable colour accent key to match your vehicles dashboard.